So there you are one afternoon, at the end of your rope with an out-of-control three-year-old. You know you won’t spank him, and you have become mindful of avoiding shame-based measures, so what’s left? Is “Time Out” the answer? At risk of adding stress to already stressed-out parents, my answer is no. 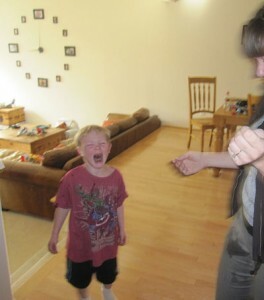 Time-outs were conceived as a more humane alternative to spanking, but the problem is, they land a blow to the brain and psyche rather than to the bottom. …and meanwhile, if you’re wondering about OTHER ways to bring more peace & calm to your parenting and your family… take a look-see at this!